With CENTRO P we are offering a Precision Collet Chuck, which continues the tradition of our tried and tested Collets in terms of precision and quality. With CENTRO P we are revolutionising Collet Chuck and Collet clamping technology, putting it ahead of the competition in respect of precision, clamping force, flexibility and price-performance. Don’t waste your money on laborious and costly hydraulic, expansion or shrink fit clamping techniques. 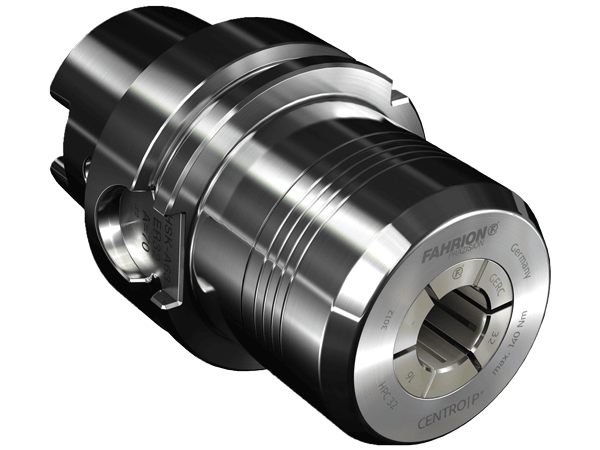 Rely on FAHRION instead for your chucks as well the only way to bring the precision of the Collet to your cutting tool. See for yourself: In our YouTube channel, we show CENTRO | P in comparison to other clamping systems and give tips for correct handling. 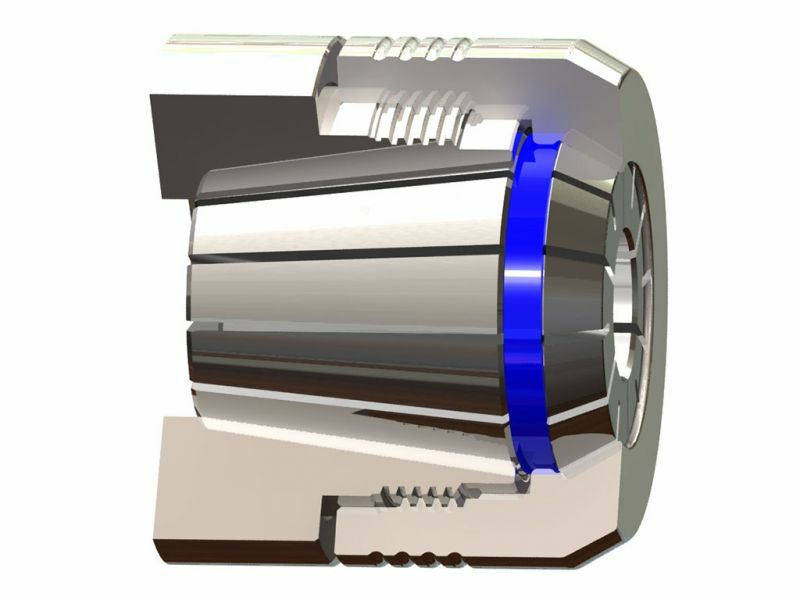 GERC precision collet chuck for collets complying with DIN ISO 15488-B (ER/ESX) - very high concentricity of ≤ 3 µm with FAHRION GERC-HP collets or ≤ 6 µm with FAHRION GERC-B collets. GOZ precision collet chuck for collets complying with DIN ISO 10897 (OZ) - extremely stable versions for roughing milling with clamping forces of over 600 Nm with CP432. *Tap Collets GERC-GB cannot be inserted in GERC precision collet chucks! Learn more about the properties of the CENTRO|P and the advantages it gives you. Constant system accuracy with FAHRION GERC-HP Collets ≤ 3 μm*, ≤ 6 μm* with the FAHRION GERC-B Collets. 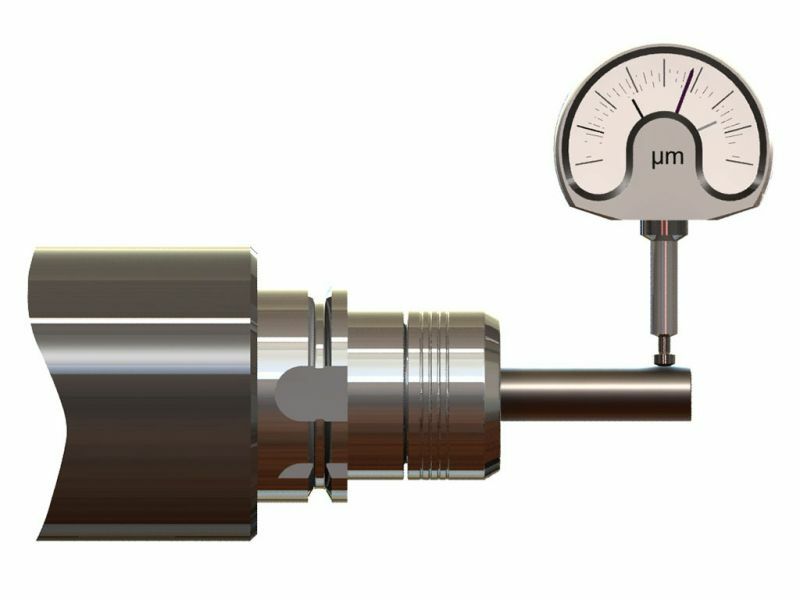 Possible vibration during the application is absorbed by the Collets. Due to the unique design of the FAHRION HPC Clamping Nut with trapezoidal thread and double-length guide CENTRO P is ideal for HIGH PERFORMANCE CUTTING. 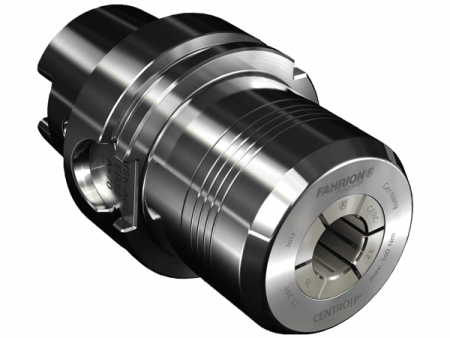 FAHRION Precision Collets to DIN ISO 15488-B (ER/ESX) or DIN ISO 10897 (OZ): the low-cost alternative to other precision systems such as expansion chucks with cylindrical sleeves or shrink fit chucks. 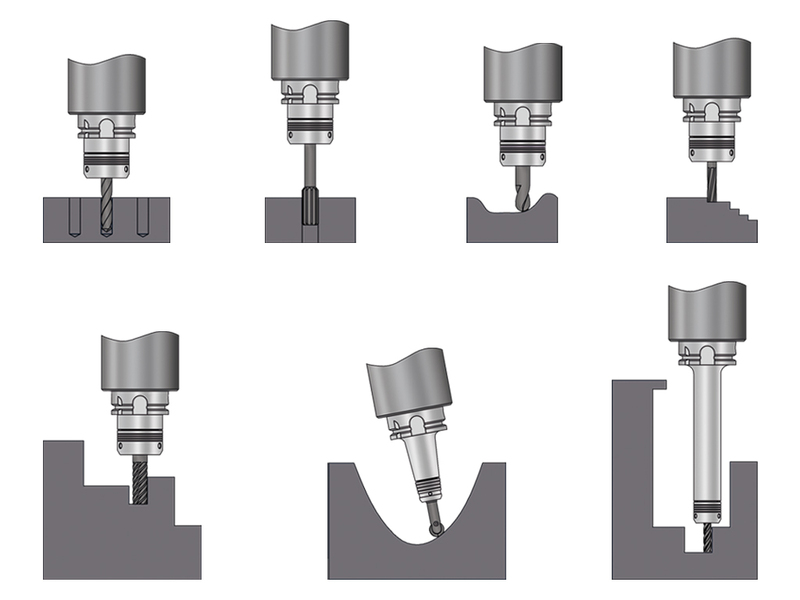 Many different versions are available, adapted to the respective tasks and challenges faced when milling, drilling, threading, etc. Suitable for dry processes and hard milling up to 200°. Resistant to temperature changes. You don’t have to check the clamping force, provided the Collet diameter is the same as the tool shank and you comply with the operating instructions. Full clamping force is maintained, even when in storage for a long time. 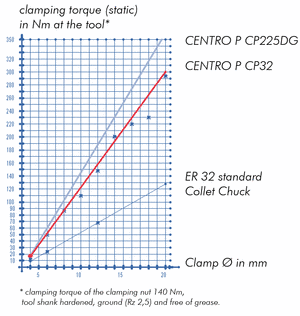 up to 100% higher clamping force compared to standard Collet Chucks. Cheap doesn’t always mean that you save money and rigid holders without cushioning cost money, because more and more spindle manufacturers record the oscillations/vibrations in the working spindle of the machine tool using a so-called black box and read out these data in the event of warranty claims. Due to ever increasing cutting speeds, the demands on the maximum possible speed of the machine spindle are also growing. In order to achieve speeds of 20,000 rpm or higher, the spindle manufacturers have to install hybrid bearings (metal-ceramic composite) or even pure ceramic bearings into the machines. The disadvantage of such bearings is their sensitivity to impacts or knocks – i.e. oscillations of any kind. And because these oscillations are not completely avoidable, but shorten the life span of the spindle, they are recorded, grouped into G ranges, converted into hours by means of a factor (depending upon the G range) and subtracted from the actual warranty hours still remaining. This results in costs: The replacement of the spindle of such a machine costs on average around 25,000 euros. With a warranty period of 4000 hours, for example, that corresponds to spindle costs of 6.25 euros /hour. If just one hour is worked in the range 7-10 G, then this hour costs around 1,250 euros at a factor of 200. Even small oscillations in high G ranges reduce the remaining warranty hours and cost you money! With 20% of working time in the G-range between 3 and 5 (factor 5) the warranty period reduces to 2,222.22 hours. With 10% of working time in the G-range between 3 and 5 (factor 5) the warranty period reduces to 2,857.14 hours. With 5% of working time in the G-range between 3 and 5 (factor 5) the warranty period reduces to 3,333.33 hours.